We've had a lot of fun the last few years checking out many, many retellings of various fairy tales. 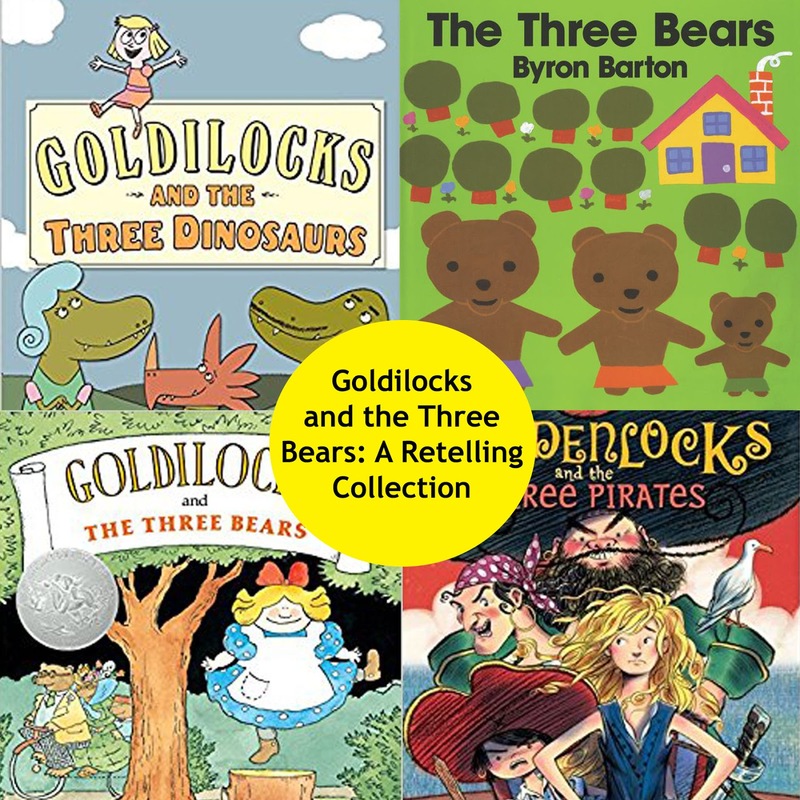 A current favorite (thanks mostly to Byron Barton), is Goldilocks and the Three Bears, so I thought I would share a few of our recent favorites. James Marshall's illustrations are just so fun. I've spent the last five years collecting all of his fairy tale retellings. My big kid loved that the bears ride a bike through the woods instead of taking the more typical stroll. 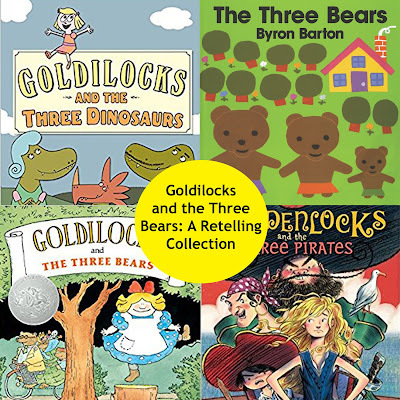 We discovered Byron Barton when my oldest first became obsessed with trucks, and we have worked our way through all of his books available at our library. The Three Bears was a surprise hit because we found it at the height of truck fever, but it easily became his most requested read aloud. The story is simple enough for the youngest toddlers, but still keeps his interest at 5. This book is the one I think of as the "classic" story. I actually remember reading this in elementary school - maybe second grade? - and it has just stuck. Galdone's bears are relatively realistic, which seems kind of rare in most Three Bear retellings. Pirates a very popular commodity in our house, so when I saw this title at the library, I knew we needed to check it out. The story is mostly the same, but instead of bears, Goldenlocks boards a ship owned by pirates. Mo Willems is a sure fire hit, and this retelling highlights all of the ridiculousness that exists in the original story (why would anyone make porridge?!). We read this for the first time when my oldest was about 2, and it definitely went over his head, but he appreciates the humor today. This retelling gives away the twist in the title, but all three kiddos enjoyed it. The story follows a single bear as he accidentally finds his way into the big city and his misadventures trying to get back home. Do you have a favorite fairy tale retelling?